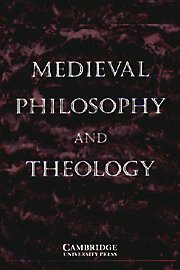 Medieval Philosophy and Theology is devoted to the publication of original articles in all areas of medieval philosophy, including logic and natural science, and in medieval theology, including Christian, Jewish and Islamic. Its coverage extends from the Patristic period through the neoscholasticism of the seventeenth century. Medieval Philosophy and Theology occasionally publishes review articles and article-length critical discussions of important books in the field. It does not publish editions and translations except when they are integral parts of articles. Medieval Philosophy and Theology appeals to philosophers, theologians, medievalists, and historians of philosophy, theology and science. The members of the editorial board and the panel of editorial advisors represent eleven different countries in Europe and North America as well as a wide range of academic, disciplinary and scholarly traditions and approaches. The journal is published in English but will consider manuscripts submitted in French, German or Italian.